If you want to avoid doing the dirty work yourself, be sure to hire a full-service moving company to get the job done. Just ensure that it is properly licensed and insured, and has the know-how to navigate a walk-up apartment unit. While it might be tempting to pack all of your stuff into a couple large boxes to make fewer trips up the stairs, this can actually hinder your moving tasks. 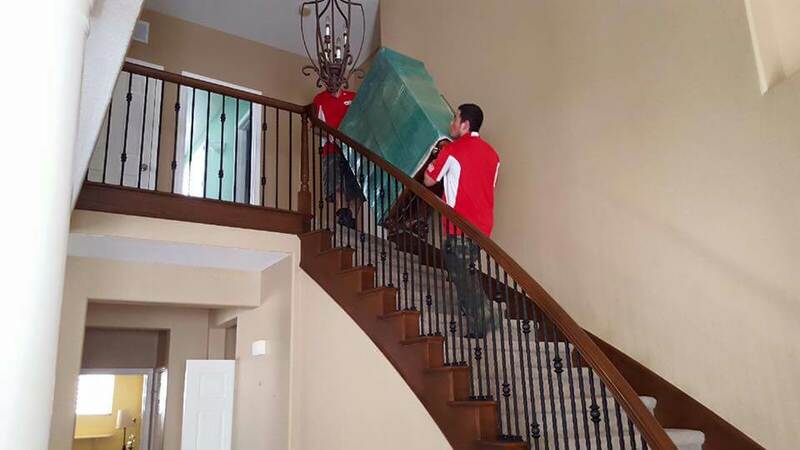 Larger boxes can become heavy, making it tough to climb the stairs. Instead, opt for many little boxes to load your items. You should never attempt to move large pieces of furniture by yourself. But even with the help of a pal, you could permanently damage the finish on your beloved items. To prevent this from happening, use blankets to protect the edges of your furniture. Moving blankets can be rented at any moving store. While they can add some weight to your load, they will also protect your furniture from dings and dents. Removing the drawers will eliminate unnecessary weight from your furniture, making hauling it up the stairs an easier endeavor. These tips for moving into an upstairs apartment will hopefully provide you with the help you need.